Union Budget 2016-17 aims to address consecutive failures of the southwest monsoon by focusing on increasing irrigation potential in order to improve agriculture productivity. The Budget has set a target of increasing irrigation potential by 2.85 million hectares under its flagship programme, the Pradhan Mantri Krishi Sinchai Yojana (PMKSY) this year. Besides, the government has decided to create a dedicated Long-Term Irrigation Fund under NABARD with an initial corpus of about Rs 20,000 crore. The government will borrow 40 per cent of this corpus from the market and will contribute the rest from budgetary provisions. According to the agriculture ministry, of 141 million ha of net cultivated area in the country, only 46 per cent is covered by irrigation. The Budget has also decided to revive 89 irrigation projects under Accelerated Irrigation Benefit Programme (AIBP). These projects were languishing for many years due to the absence of funds. The Union government launched AIBP in 1996-97 for providing financial assistance to expedite the completion of ongoing Major/Medium Irrigation (MMI), including Extension, Renovation and Modernisation (ERM) of irrigation projects and Surface Minor Irrigation schemes, as well as Lift Irrigation Schemes (LIS). These 89 projects will help to irrigate 8.06 million hectares. They require Rs 17,000 crore next year and Rs 86,500 crore in all in the next five years. The Union government will ensure that 23 of these projects are completed before March 31, 2017. At the same time, a major programme for sustainable management of groundwater resources has been prepared with an estimated cost of Rs 6,000 crore. The programme will be proposed for multilateral funding. The government has also decided to utilise the Mahatma Gandhi National Rural Employment Guarantee Scheme (MGNREGS) to increasing the water harvesting potential in drought-affected areas. 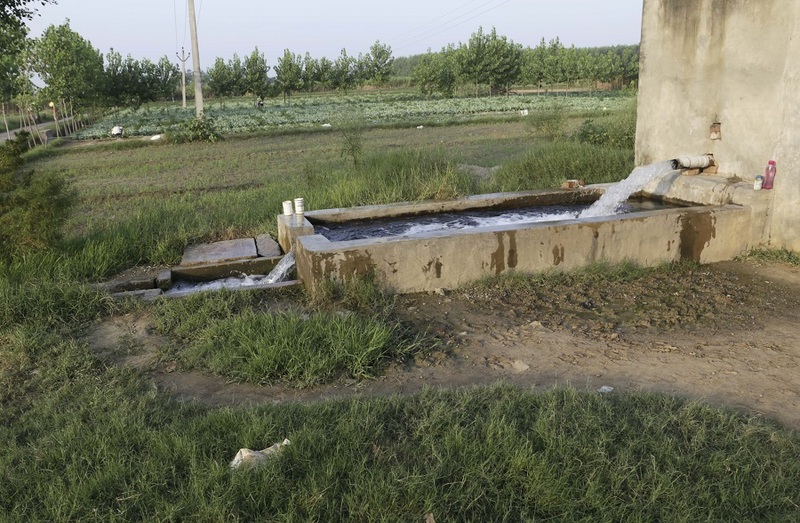 It has decided to prepare 500,000 farm ponds and dug wells to make rural areas drought-resilient. The budget has also allocated Rs 850 crore to four new dairy projects—Pashudhan Sanjivani, Nakul-Swasthya Patra, E-Pashudhan Haat and National Genomic Centre for Indigenous Breeds.